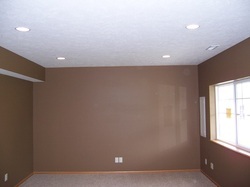 Refurbish - Summers Painting, Inc.
We went into this home and freshened it up with lighter colors on the main floor. 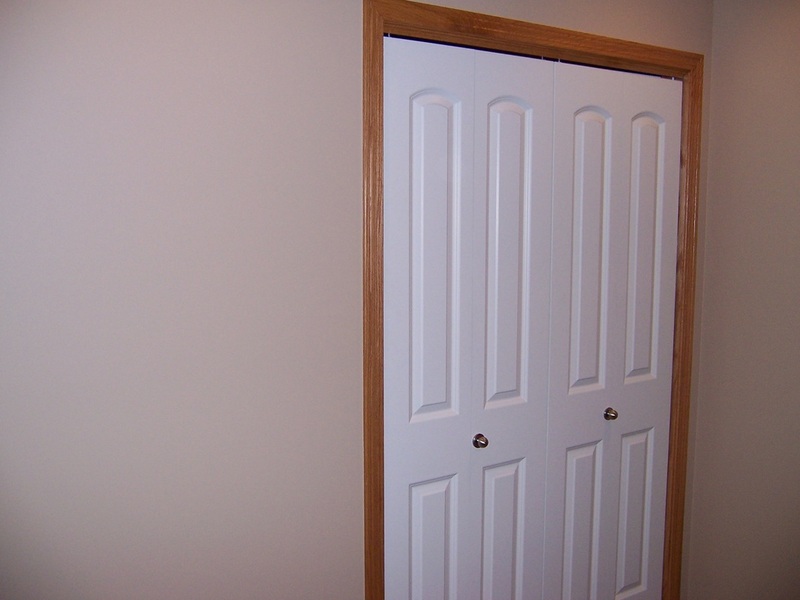 Our first two photos show the before and after to give you an idea of how the right color can make a world of difference. 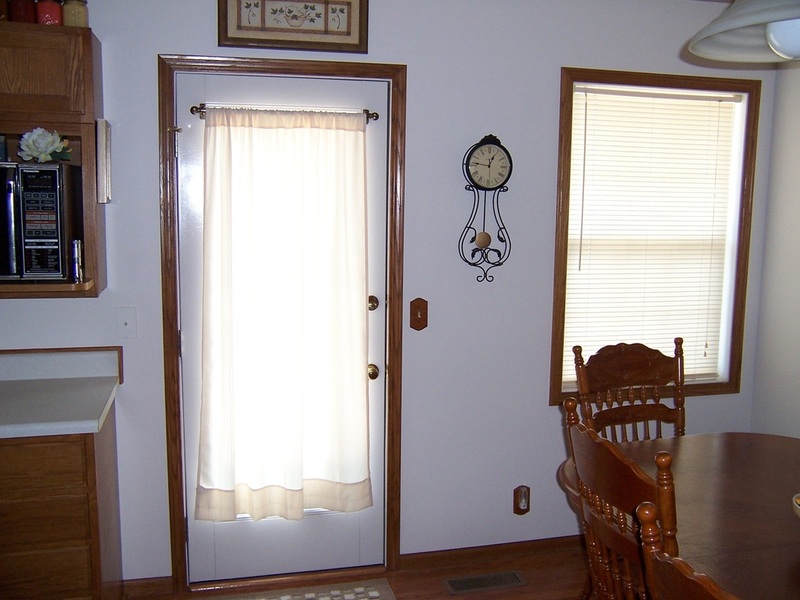 Click on any photo to enlarge the view. This home's entry was painted in a dark color. 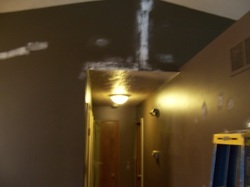 We go through all the areas that are to be painted and check for cracks and holes, etc. We spackle, repair, and sand before repainting. 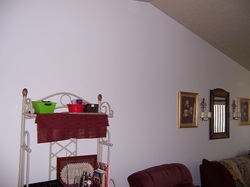 We repainted with an eggshell paint that cleans up with little effort and works well in an area such as this. 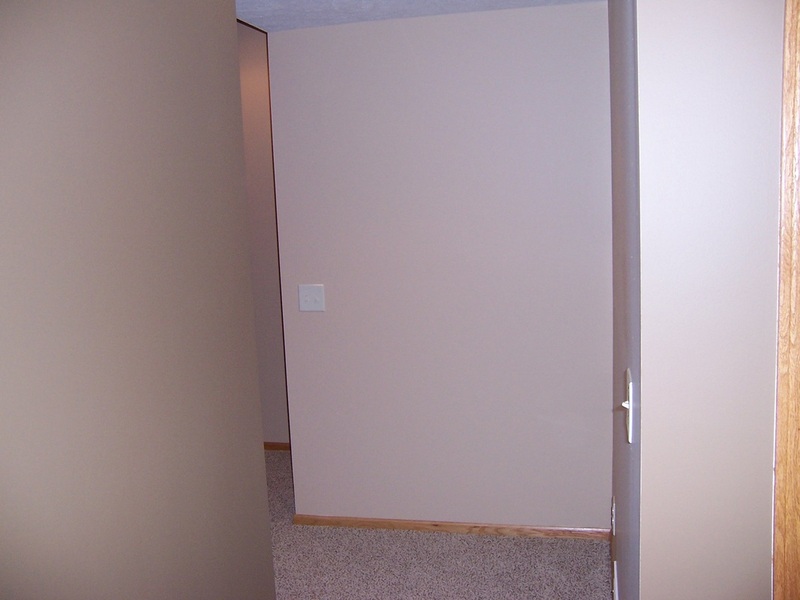 The homeowner chose a light beige. 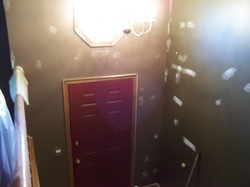 This picture is during the prep work before repainting. 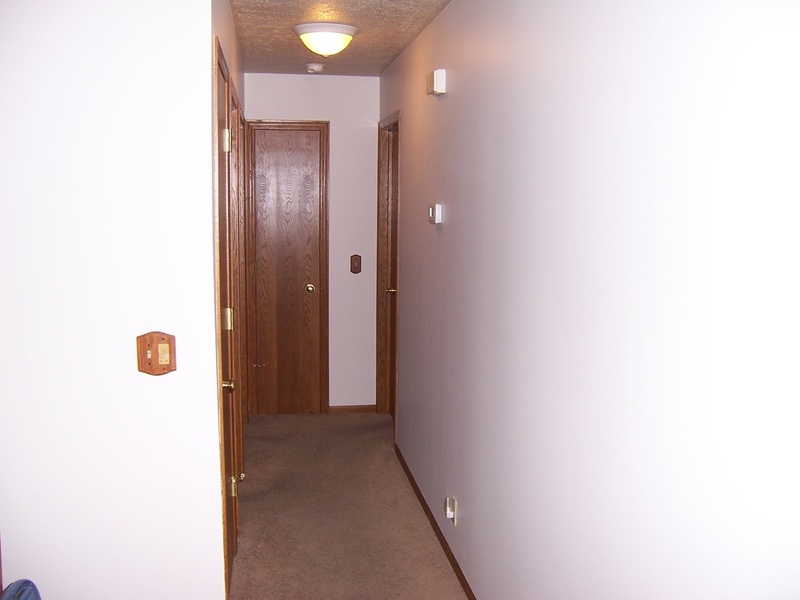 These photos to the right are more of the hallway and the walls in the bedroom. 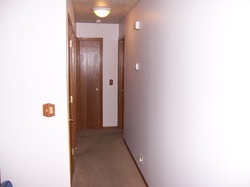 The color flows smoothly through the rooms. 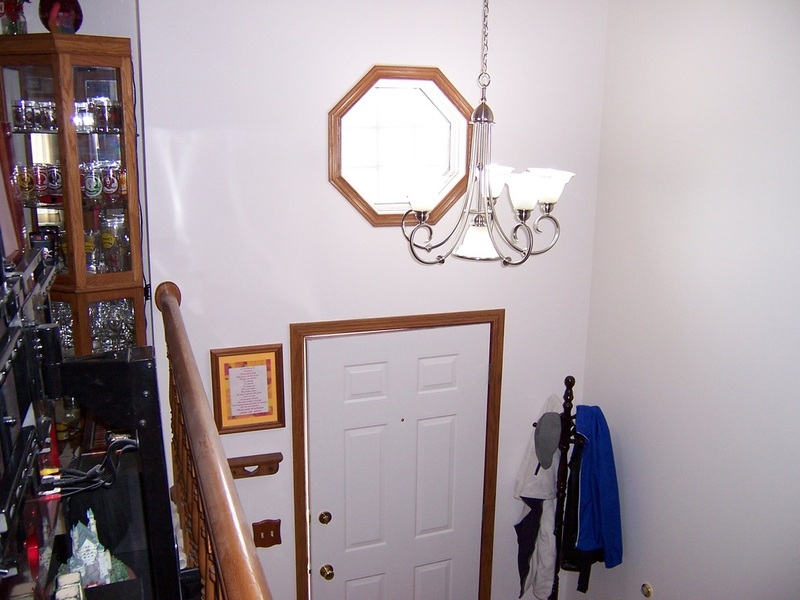 Eggshell paint was used in beige to lighten and cheer-up this hallway. Eggshell paint in beige color was used all through the main living area. 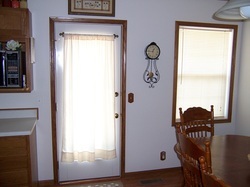 Using this same beige color or shades of the same color flows nicely from room to room in smaller homes. 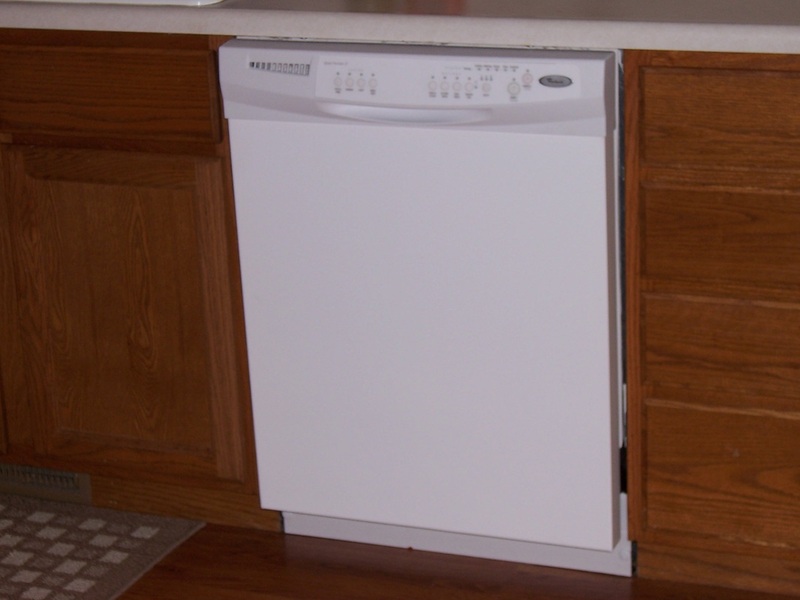 These next two photos were part of this refurbishing project. 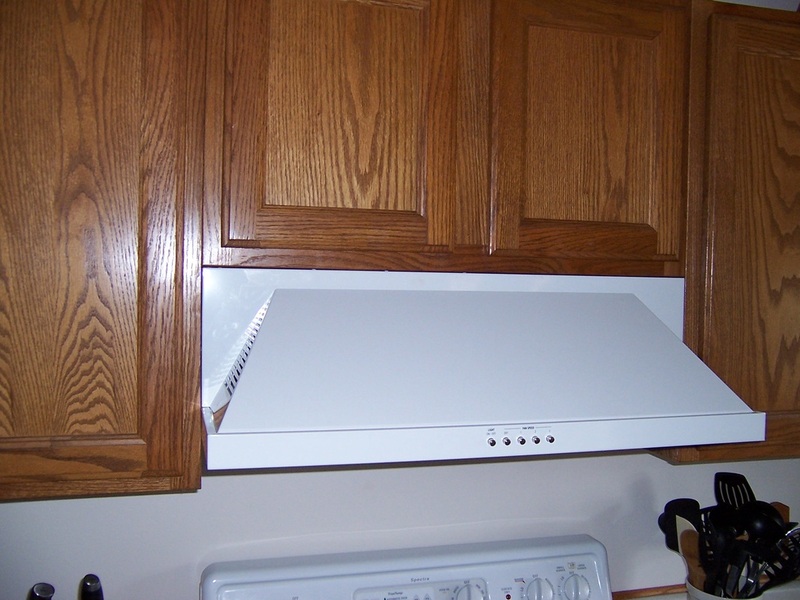 We removed the old range hood and dishwasher and installed new ones. 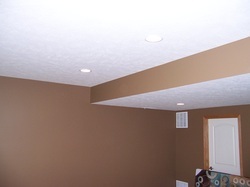 This home was ready for the addition of a family room in their basement. 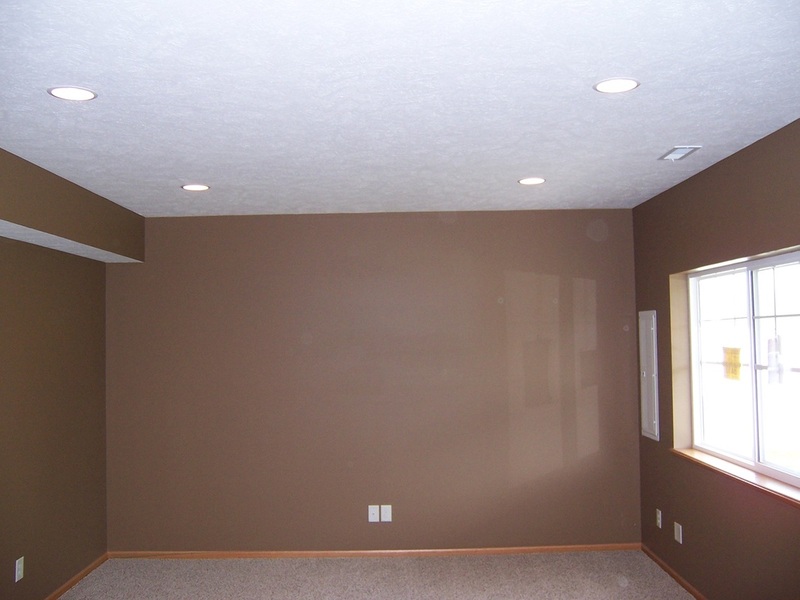 Daylight windows in this large basement family room allows for the use of darker colors if that is your preference. 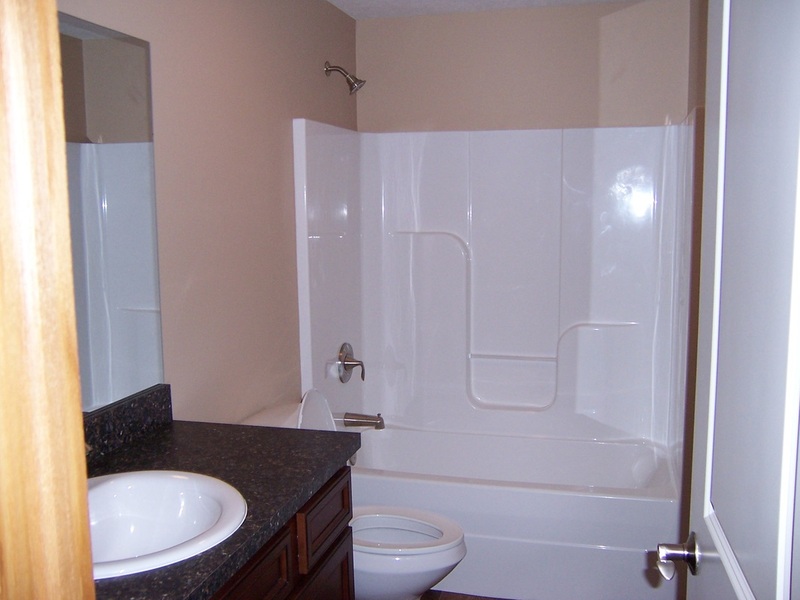 An open bath and shower can have a durable surround added to protect the walls and beautify the interior. 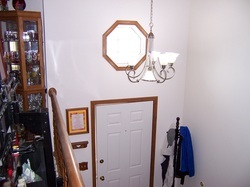 New furnishings such as a vanity and tub can also add attractiveness to the bathoom.